We've made it to Spring! That means we're not too far off from releasing our Android app. We know you want it! Last night, we posted a help wanted tweet for music librarians on our Twitter account, and we were pleased to be met with responses from people willing to help fill and organize our music library! We'll introduce them to everyone once the dust settles. If there's anyone else who's interested in contributing their talents to our efforts, please get in touch with us! TheOnlyDeerAlive has two new tracks for us today, the first being Final Hours, and the second is Fi, featuring pianist LaRosaNoiricie. Check out the video of their collaboration below, and keep an ear out for their music on our stream! 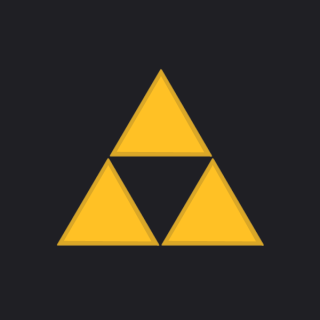 Will the radio hyrule app (Android or Apple) ever have a chatroom? That's an interesting idea! We haven't really thought about it. Most devices running our mobile apps will be too small to really be able to participate in the chatroom during peak hours (like during Hyrule Academy). That said, we will look into the idea later down the road, once the Android app has had a chance to catch up with the iOS app. We're still on track for a spring release with the Android app! 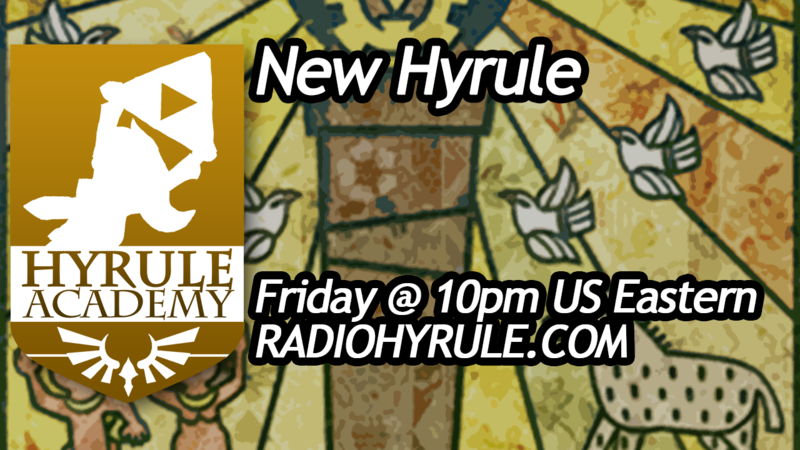 Hyrule Academy is kicking things off again tonight at 10pm US Eastern! Come join the discussion! 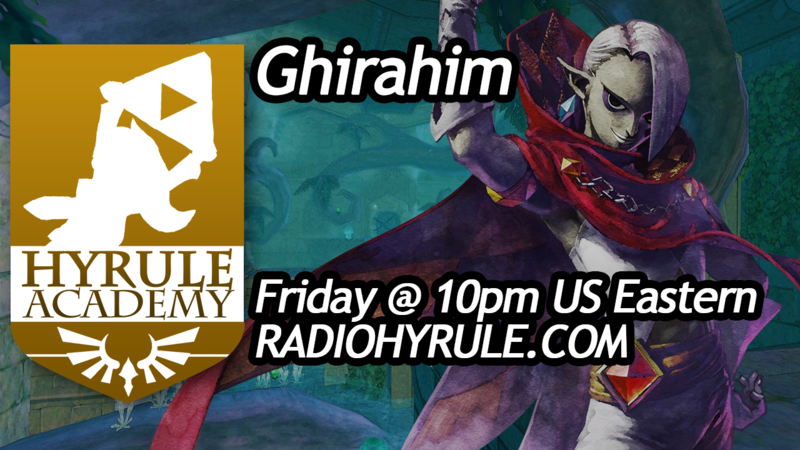 It's Ghirahim Day here at Radio Hyrule! Well, not really, but he is the discussion topic for tonight's episode of Hyrule Academy! This week we're bringing you some more great new tunes from a new artist. 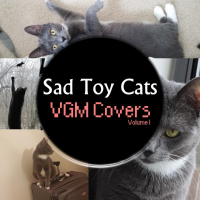 Sad Toy Cats is a musician duo comprised of two guitarists who love video game music. Check out what they have to say about their music in this interview! Sad Toy Cats on Facebook, Twitter, SoundCloud, YouTube, and iTunes. Since there is a way to play Radio Hyrule on your Wii via wiimusic.net, is there ever a chance for a way to play Radio Hyrule on the Wii U browser sometime in the future? Supporting the Wii U requires a major change in the backend infrastructure due to the codecs we have to support; it's the next course of action after Android app. Tonight's episode of Hyrule Academy will be all about one of our all-time favorite villains! Be sure to tune in by 10pm US Eastern! Didn't get to tune in for last week's episode of Hyrule Academy? No problem! Here is the full recording of the episode! Enjoy! If you're not caught up-to-date with previous episodes, you can download them from the Hyrule Academy archive. Good evening, listeners! We're back this week with more new music to add to our library. This week we've added a bunch of new electronica tracks created by DJ the S! Check out some of our favorites like Mask of Madness, Deku Rave, and Lost Palace. What is Windmill Hut? I can't find any information on the site. Glad you asked! The Windmill Hut is a weekly show hosted by NovaAlamak, creator of The Spinning Stream, a Nintendo music radio station. 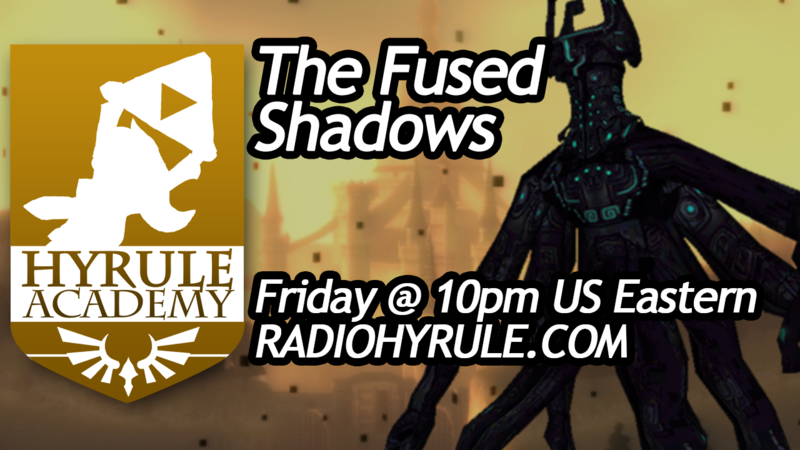 It airs every Wednesday at 7pm US Pacific on The Spinning Stream, and is simultaneously broadcast on Radio Hyrule as well. Nova's show has a number of recurring segments including the Bombchu Bulletin, Keaton Kwiz, Scarecrow's Song, and the Phantom Hour (an hour-long segment of non-Zelda music, which isn't broadcast on Radio Hyrule). Listener participation is encouraged through their IRC chatroom, which can be found on their website, or in the #spinners channel using the Radio Hyrule chat box. 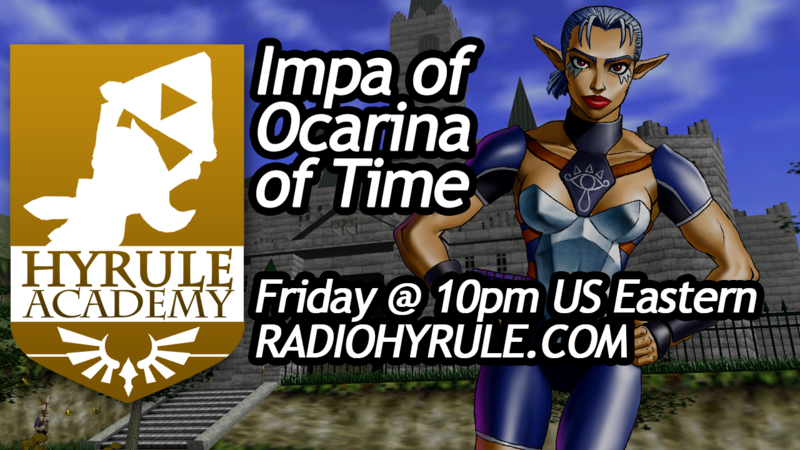 As usual, tonight's episode of Hyrule Academy will be LIVE on the air starting at 10pm US Eastern! Join the discussion in our chatroom! Short update this week! We're going to start with the Postbox segment first, for reasons which will become apparent. I've been wondering this for awhile, do you plan on adding Super Smash Bros. Melee's soundtrack? I've also been wondering if you will add a Super Smash Bros. tag. Funny you bring that up, because I never actually noticed that we didn't have the Melee tracks in our library! We've had Brawl and Smashing...Live! for a while, we recently added Smash 4, but no Melee. That is until now! We've also added a shiny new Super Smash Bros. tag for the library. Enjoy! What else needs to be said? You've heard these two tracks before. Great Bay and Temple. Good ol' classic Smash music. Go and get 'em. Hyrule Academy is tonight! This week's topic is New Hyrule, so don't be tardy! Catch the discussion at 10pm US Eastern. It's Friday the 13th! Oh yeah, and that Zelda game everyone's been asking for is finally out. Happy Majora's Mask Day! I'm sure many of our eager Android anticipators will be pleased to hear that we've been receiving working builds of our first official Android app version! It's not quite ready to move into testing yet, but things are looking right on track for our goal timeframe of Spring 2015. We will let you know more specifics as we narrow in on when exactly that'll release. Hey The CloudRunner, thanks for taking the time to answer some questions with us! You made your Radio Hyrule debut last year with your album, Unto Ocean's End, but when did you first start getting into video game metal? Who or what inspired you? The CloudRunner: It was around 2 years ago when I decided to take a break from working on original music. What started out as a side project has overtime become my channels main content. I had previously uploaded Zelda covers but they were orchestral based arrangements back from 2009 which are still online! Of course the music in the Zelda series has always been an integral part of the game makeup, the fact that there is a radio station dedicated to the music that appears in the series says it all. In terms of who inspired me it was partly down to have seeing (as no doubt many of your listeners have) Artificial Fear's cover of Ballad of The Goddess on YouTube. I liked how he took the theme and rearranged the music to put his own stamp on it. It wasn't until Nintendo released Wind Waker HD did the idea really take off for me, I had seen a lot of individual covers from Zelda games but no one had really covered a full soundtrack even down to Beedle's Shop and other themes that are lesser known. Your latest album, 72 Hours Remain, is similar in style to your last album, but it's being released in three separate parts. Could you tell us what other similarities or differences we might find between the two? 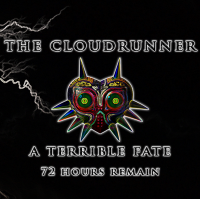 The CloudRunner: The reason for the three separate parts is that I want each album to represent a different day in the same way that Majora's Mask becomes heavier and darker as you play through the three days. In terms of musical style, 48 Hours will be more intense and 24 Hours will be focused on the moods of despair as Link reaches the end of his third day, but there will be some themes that continue throughout the three. With the arrival of Majora's Mask 3D today, 72 Hours Remain definitely launched at a very good time! Was this album an idea you came up with before or after the remake was announced last year? The CloudRunner: I wish I could say that I meticulously planned every detail to line up with the release of Majora 3D but that wouldn't be the truth. After I completed my Wind Waker album I always knew that I would record another one in 2015. For a while I was thinking of covering Skyward Sword's soundtrack, but the way I learn the themes is from reading MIDI files, which unfortunately Skyward sword doesn't have that many online. Once the remake was announced, I thought it would be cool to have my project released around the same time, as Majora's Mask is my favourite game from the entire Zelda series. What I didn't account for was Nintendo bringing the release date forward from Spring to February, so in all I had around 3 weeks to make 72 Hours Remain! Wow, that's quite impressive! Hopefully you're not too burned out. Where can our listeners find the rest of your music covers and future releases? The CloudRunner: The best way to follow me is on Facebook, or by subscribing to my YouTube channel. I'll be doing more of these Zelda albums in the future! I also collaborate with YouTube vocalists/musicians "metalizing" songs, and of course covering lots and lots of Nintendo covers!! Thanks again for making some awesome Zelda music! We hope to share more of it with our radio listeners in the future! I would like to know if there is a way to edit the volume of the stream, or if there are plans to add a volume slider of some sort. Sounds like you're talking about our Pop-out Player! We're glad you're thinking about the same things we are! We added the pop-out player about a year ago as a quick and dirty means of getting the stream to play in-browser. We have it in the works to make a prettier skin for it, along with the volume features you'd expect from an audio player. For now, if you're really itching for some volume control, we highly recommend opening the stream URL in your computer's media player. Visit this page for more information on setting that up. In case you haven't heard, Hyrule Academy is BACK for season two! You can catch episode 3 live on the air tonight at 10pm US Eastern, and if you missed any of the previous episodes, you can find them on the show page. Enjoy!